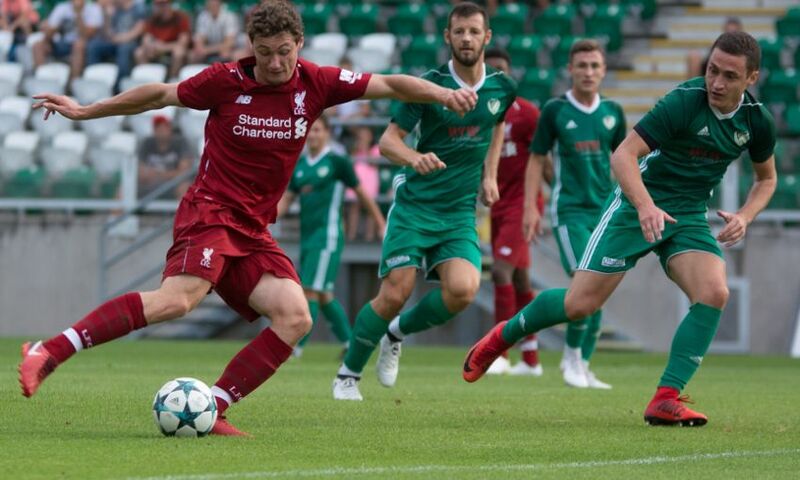 Matty Virtue and George Johnston were on the mark as Liverpool U23s played out a 2-2 draw with Paris Saint-Germain on Friday. Neil Critchley's side were delighted to take the invitation to fly to France and take on PSG at their academy in Paris. Johnston headed the young Reds into the lead following a pinpoint set-piece delivery from Adam Lewis. The hosts levelled, but Virtue, who had earlier hit the post, fired home to make it 2-1. However, deep into stoppage-time PSG earned a share of the spoils courtesy of a superb direct free-kick. Reflecting on the 2-2 draw, Critchley told Liverpoolfc.com: "It was a really good game against high-level opposition and a great test for us. "We played really well and scored two excellent goals. "It was good to have Adam [Lewis] back with us after playing for England U19s and he produced a great free-kick that led to George scoring our opening goal. "We thought we had won the game but, to be fair, PSG scored a brilliant free-kick in stoppage-time, an effort into the top corner of the net. "We would like to thank PSG for being superb hosts and giving us an opportunity to play at their academy."